Parkinson’s Disease is a degenerative neurological disease in which symptoms develop and progress over a span of years. People with Parkinson’s slowly stop producing a brain neurotransmitter, dopamine, which causes changes to their movement ability, cognitive function and emotions. Without a regular amount of dopamine in the brain the body does not function normally. As a result of this a resting tremor, slower movements, stiffness of the arms and legs and postural instability are usually seen in those with Parkinson’s. This impacts a person’s ability to carry out their daily activities of living, and in later stages of the disease prevents them from being independent. PD is not fatal, but the complications from the disease can be (National Parkinson’s Foundation, 2015). 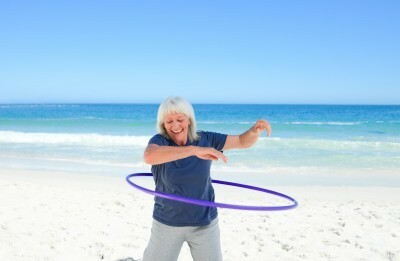 Exercise has many benefits for living a long and healthy life and is important for everyone. As we age, keeping active remains even more important to prevent the decrease in functional ability that results from a decrease in muscle mass and aerobic fitness. However, for those with Parkinson’s Disease, exercise is key in helping to slow the movement deficits experienced. When these movement deficits are combined with the regular decreases in functional ability as a result of aging, there is an increased risk of falling, making the need for exercise training even more essential (Playford, 2011). Research studies indicate many benefits of exercise in helping to improve the symptoms of PD or prevent further decreases. For example, one study demonstrated that aerobic training on a stationary bike increased motor function and coordination in participants. A number of studies found that treadmill walking had positive effects on improving balance (National Parkinson’s Foundation, 2015). Incorporating exercise into the patient’s care plan also has benefits to the patients well being by actively involving them in their treatment which increases their self efficacy and satisfaction with the treatment they are receiving (Rosenthal & Dorsey, 2013). Following the general guidelines for exercise are usually suggested as safe or those with Parkinson’s disease (Rosenthal & Dorsey, 2013). Incorporating balance, resistance, flexibility and aerobic training into a regular exercise program will produce overall benefits (National Parkinson’s Foundation, 2015). Research is also showing that moderate to vigorous intensity exercise, over low intensity, produces better results and improvements in the functioning of those with PD (Reuter & Ebersbach, 2012). Get clearance from your doctor to be aware of any complications particular to your specific case. General exercise guidelines can be followed but be sure to consult an exercise professional to find out your individual needs. Although treadmill walking has been proven effective, the increased postural instability experienced by those with Parkinson’s Disease can make this mode of exercise unsafe. If necessary, opt for a different type of aerobic exercise such as a stationary bike or water exercise. If resting tremor is quite severe, or disease is in a later stage, free weights may not be appropriate for resistance training. In this situation weight machines may be a safer option (Bollinger, 2012). Functional training in the form of balance training and gait training is important to include in an exercise program to reduce the risk of a fall and improve performance in activities of daily living (Bollinger, 2012). Consistency in an exercise program is important to see results and maintain the increase in functional ability achieved.